Root canals are routine procedures with our capable Greenbelt dentists at the McCarl Dental Group. Even apprehensive dental patients appreciate the skill, patience and kindness shown by McCarl dentists. We understand your apprehension and take great pride in our ability to treat our patients with the utmost care and respect. A root canal is a treatment used to repair and save a tooth that has become infected or is badly decayed. Our Greenbelt dentists perform root canals when the nerve of the tooth becomes infected or the pulp becomes damaged. During the procedure, the nerve and pulp are removed, and the inside of the tooth is cleaned and sealed. The root canal procedure eliminates the discomfort from an infected tooth. 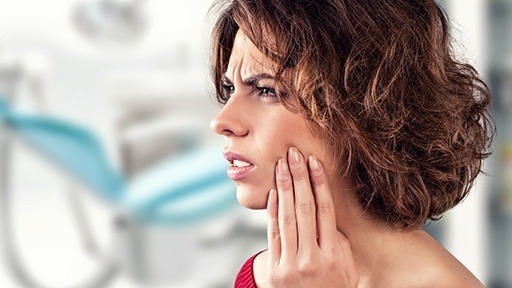 If you are experiencing discomfort or swelling from an infected tooth it is best to call to schedule dental consultation and treatment as soon as the discomfort begins. A dental infection can spread to other areas and become a serious health concern. So, if you’re in discomfort, don’t hesitate to visit our dental offices in Greenbelt today for a root canal consultation. The McCarl dentists in Greenbelt, Maryland offer convenient evening and weekend hours. Whenever possible, we provide same-day emergency dental care. The Drs. McCarl have won many local and national Top Dentist and Best dentist awards over the years, meaning you’ll only receive the best in your time of need.